Sukh Kaur Ojla is a UK based actress, writer, comedian and professional daydreamer. Sukh has appeared in a number of theatre productions as well as TV appearances such as Victoria and Abdul, Black Mirror & EastEnders. Sukh is one of the names to watch out for on the comedy circuit. 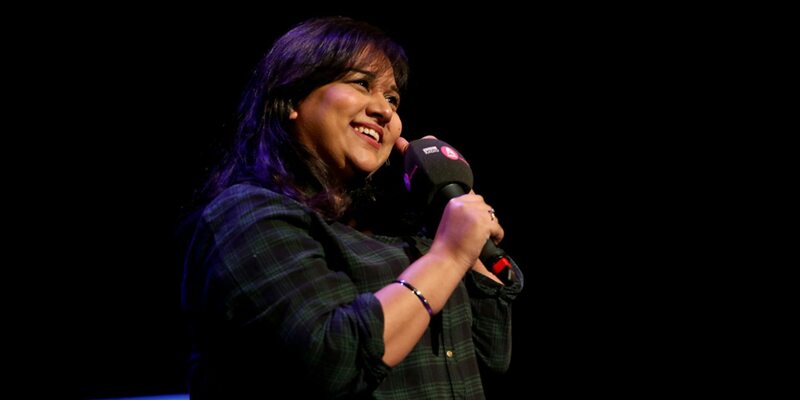 Having played from small rooms she was recently selected for the BBC Asian Network Live event – her observation about the disadvantages of having to move back in with her parents, including not being allowed to ever turn over from the Sikh channel featured as one of the funniest moments of the night!